Cottage Confort; 4/6 pers. 2 bdrms. Families looking for a rental combining comfort and price will find their happiness in our comfort Cottage 4/6 Pers. belonging to our range of comfort accommodations, this classic family cottage is ideal for a stay at 4 or 6. It has an area of 29m2 and is located on a green and shady site, a guarantee of a real scenery. Like all our accommodations, this charming holiday residence has rooms, living area, kitchenette, shower room and separate WC. At the same time it has all the necessary facilities for you to stay comfortably. The sleeps of the comfort Cottage 4/6 pers are divided as follows: a double bed in the parent bedroom, two single beds in the second bedroom and two other possible sleeps in the living area thanks to a convertible sofa. We are already at your disposal the duvets and the pillows. We offer the rental of sheets, towels and the end of stay cleaning package as needed. The kitchenette is equipped with utensils and various appliances for cooking as well as at home during the holidays. You'll feel like you're in your own home somewhere else. The dining room stay will allow you to taste dishes that you have cooked or ordered from our restaurant. There is nothing to stop you from taking your meals outside to enjoy the fresh air and good weather. Furthermore, this rental also has its own bathroom with shower and washbasin and a separate WC. For a holiday under the sign of comfort, this cottage is also equipped with heating, air conditioning and safe. 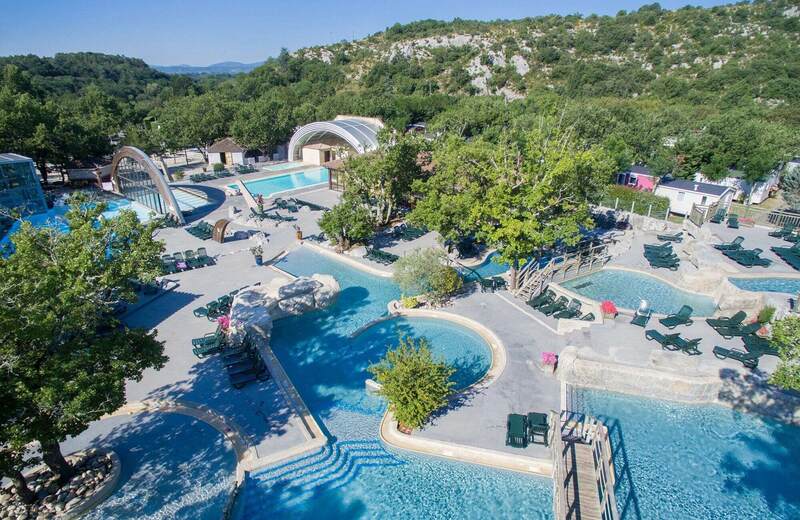 Thanks to the proximity of our water park, leisure facilities and shops, you have everything you need to live a successful holiday in the heart of the Ardèche.